This recipe can be modified based on the ingredients you have available. You can use one type of vinegar. Sugar can be used instead of honey. Feel free to use any dried chile pepper. Don't worry if you don't have all of the spices, try the recipe anyway. I used Weck jars, but you can also use Ball or Mason jars. Pickling is a process that preserves food by inhibiting the growth of bacteria that would spoil them. The food goes through a fermentation process, in which lactic acid bacteria feeds off the sugar. The growth of lactic acid bacteria prevents harmful bacterias from growing. The lactic acid bacteria produces lactic acid which increase the acidity of the pickling solution. This increase in acidity produces the tangy or sour flavor that we associate with pickles. Prep the ingredients. Peel and thinly slice the 2 small nubs of ginger. Crush the 1/2 cinnamon stick and bayleaf . Measure out the remaining spices. Wash the radishes and cut off the top and bottom. Thinly slice the radishes (near 1/8 of an inch). I recommend using a mandolin for speed and to achieve even slices. You can cut the radishes slightly thicker without sacrificing flavor. Add a sprig of fresh rosemary to each jar and then fill jars evenly with sliced radishes. Combine the apple cider vinegar, white vinegar, rice wine vinegar, water and honey in a small sauce pot. Heat on medium and stir. When the honey dissolves add all of the spices and continue to heat. When mixture begins to boils, remove from heat. Carefully pour even amounts the pickling liquid into the jars. Seal the jars and admire your lovely jars of soon to be pickled radishes. 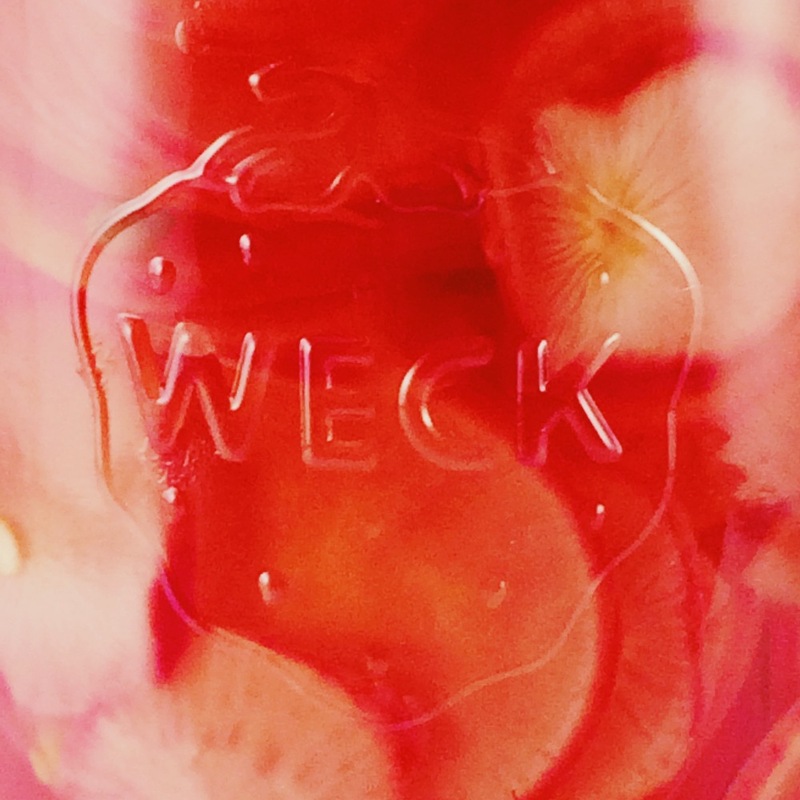 I prefer using Weck jars simply because of their stunning design and the various shapes that you can purchase them in. The pickled radishes will be ready in 5-7 days. I recommend that you taste a radish each day to see how the flavor develops. In the first few days they will taste sweet with a powerful ginger kick. in the following few days the ginger flavor will mellow and be replaced by a kick of heat. A day after that all the strong flavors will have mellowed out and you will have a sweet and tangy pickled radish. Enjoy your pickled radishes as a snack or use them to add depth of flavor to a dish. You definitely can't go wrong by adding them to a burger.